Leaders of teacher and service personnel unions announce that the school walkouts and work stoppages will end Thursday. Gov. Justice's chief of staff, Mike Hall, stands on the far right. Updated: Feb. 27, 2018 at 10:00 p.m.
After meetings Tuesday with Gov. Jim Justice, leaders of teacher and service personnel unions say the work stoppage will end Thursday. The announcement came at a news conference where Justice announced a 3 percent pay increase for all state employees this year with an additional 2 percent hike for those who work in education, including teachers and service personnel. However, it remains unknown if leaders of the House and Senate will go along with the deal. Leaders of the American Federation of Teacher-West Virginia, the West Virginia Education Association and the West Virginia School Service Personnel Association said Wednesday will serve as a "cool down" period before teachers and service personnel return to the classroom Thursday. “Maybe I was looking at what is the prudent thing to do and not necessarily looking at education as an investment, so I went home and I thought a lot about it,” Justice said, noting that he then decided to call in union leaders Tuesday. Justice proposed paying for the salary increases by raising revenue estimates by $58 million for next fiscal year, citing expected increases in revenue by way of -- in part -- President Donald Trump's tax plan passed earlier this year and the anticipated economic impact from the passage of a state referendum calling for the sale of $1.6 billion in road bonds. Figures released earlier in February show collections of $393 million for the state's general revenue fund in January 2018 were $28.2 million, or 6.7 percent, short of estimates for the month. More than seven months into Fiscal Year 2018, the state is 1 percent behind original estimates. The end of the work stoppage comes as teachers and school employees began walking off the job Thursday of last week as they rallied for a salary increases and a long-term fix to the health insurance program for public employees, among other demands. As for a permanent fix to rising costs to the Public Employees Insurance Agency, Justice said he agreed to create a task force to study long term solutions to the program. The PEIA Finance Board agreed last week to freeze until July 2019 proposed changes to the plan that would call for increases to premiums, deductibles and out of pocket costs. Legislation to address short and long term fixes to the insurance plan have yet to become final. The governor left the press conference early to coach the Greenbrier East High School girls' basketball team in a game against George Washington, in Charleston. "I've talked to the president of the Senate and Speaker of the House and I'm very hopeful," Justice said, as he removed a microphone from his suit jacket and headed out the door. "I think in all fairness to them, they should speak -- let's just give them time." Union leaders stuck around the Governor's Reception Room to answer questions from the roomful of reporters. They expressed optimism that the deal would become reality, but kept open the possibility of another strike. 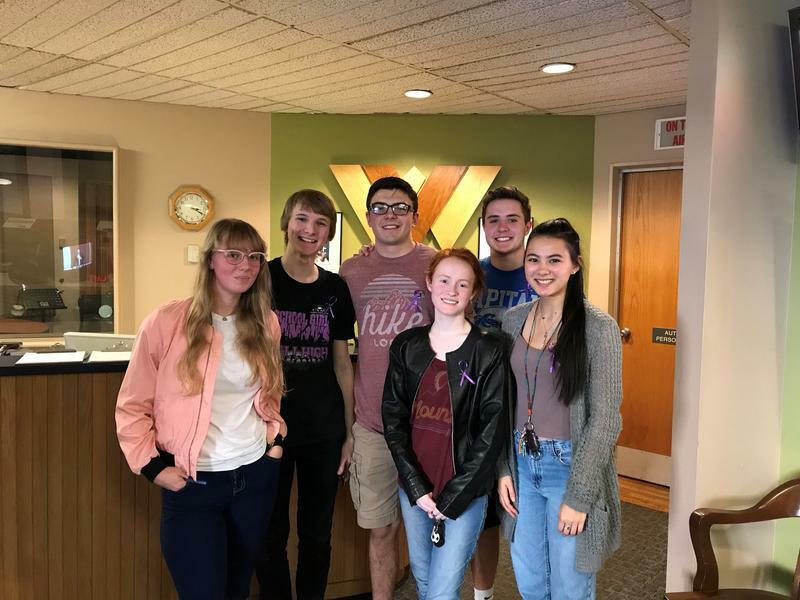 ”We reserve the right -- we may have to call our people back out again,” WVEA president Dale Lee said, noting that the Legislature would still need to pass the proposed raises to satisfy demands. "Starting here, if things get better, then we can start really focusing on the investment in public education. I think that's what the governor said," AFT-West Virginia president Christine Campbell said. "We never doubted his commitment to public education, but we needed evidence. The teachers needed evidence -- the service personnel. And I think this is a commitment. But this is the beginning of better things to happen." Following news of the deal, Senate President Mitch Carmichael said that his chamber will take a hard look at the fiscal environment before agreeing to the even larger salary increases, while trying to respect raises for public employees, teachers and service personnel. "The governor briefed me about probably an hour before he thought that he would do a press announcement regarding this proposal. You know, my advice was: 'Where do you get the money?' Carmichael said. "So, we're very troubled by the inconsistency and we're very troubled by the the hasty nature on which the proposal was brought forth." Carmichael also added that the reaction to the demands of the teacher unions might have played too much of an influence on Justice's newly announced deal. "It feels like we're perhaps reacting to pressure as opposed to properly managing the fiscal affairs of our state," he said. Citing federal tax cuts as the catalyst for a rejuvenated state economy, House of Delegates Speaker Tim Armstead released a statement that indicated optimism about the governor's proposed pay increases. “While we will need to review and scrutinize the revised revenue forecast, it appears that the Governor’s increased Fiscal Year 2019 revenue estimates should allow us to afford larger pay raises for our teachers, service personnel and state employees, said Armstead in a written statement. Armstead also said members of his party are committed to addressing the long-term issues with PEIA. House Democrats, who have been encouraging teachers and service personnel at the capitol during the work stoppage, applauded the announcement from Justice and the unions. “We call on Senate President Mitch Carmichael and House Speaker Tim Armstead to immediately take action on legislation to ensure these pay raises happen without incurring any additional cost to the taxpayers by having a special session,” House Minority Leader Tim Miley said in a written statement. “We must begin work tomorrow on finding a permanent fix to PEIA which is by far the number one concern of public employees and retirees,” Miley wrote. Late on Wednesday of last week, Justice signed Senate Bill 267, which called for a 4 percent raise for teachers over three years, with 2 percent coming this year and an additional 1 percent in each of the two following years. Union leaders said that wasn't enough with rising healthcare costs. 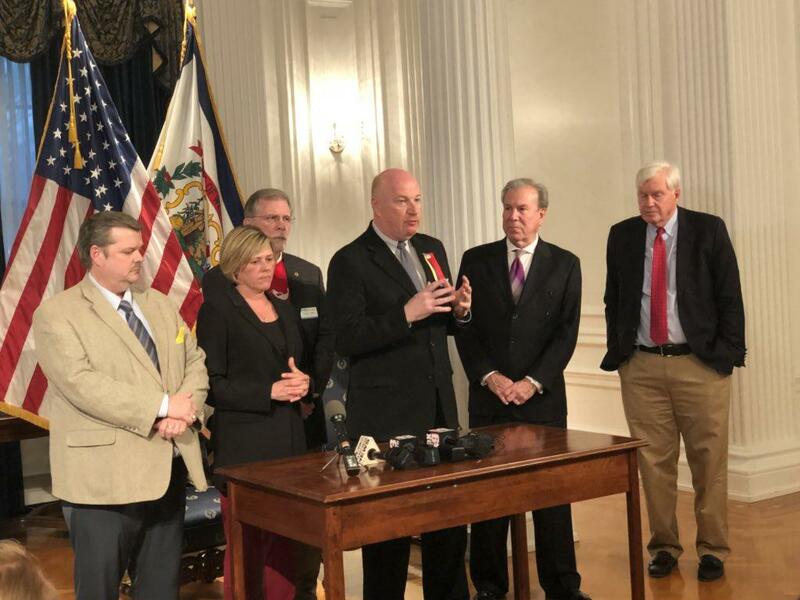 At the news conference, Justice also announced that he is backing off on vetoing a bill known as co-tenancy, which would allow gas companies to force mineral rights owners to sell their gas if three-quarters of their neighbors agree. In a series of town hall meetings Monday, Justice told audiences he wanted the Senate to kill the bill or that he would veto it. Many students throughout the state are joining teachers in protests for what they assert to be fair compensation. Students at Capital High School issued an open letter clarifying their perspectives. Some officials have accused teachers throughout the state of setting a bad example for students. The students at Capital High School find that laughable. They say it’s been a rich opportunity for dialogue and learning about history and civic responsibility. Listen to The Legislature Today on February 26, 2018. On The Legislature Today, thousands of teachers and state workers again showed-up at the Capitol to protest low salaries and rising health care costs, as their work stoppage entered a third school day – tomorrow will be the fourth. We bring you the latest on the work stoppage. 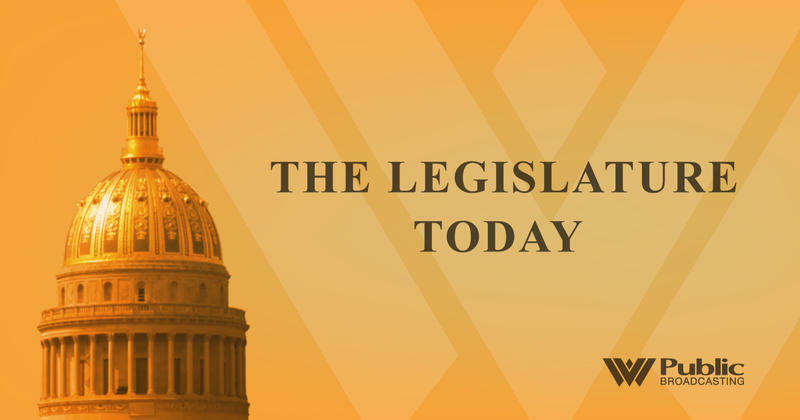 Also, in this episode, we look at a variety of health-related legislation and chat with Sen. Tom Takubo, R-Kanawha and Sen. Ron Stollings, D-Boone. 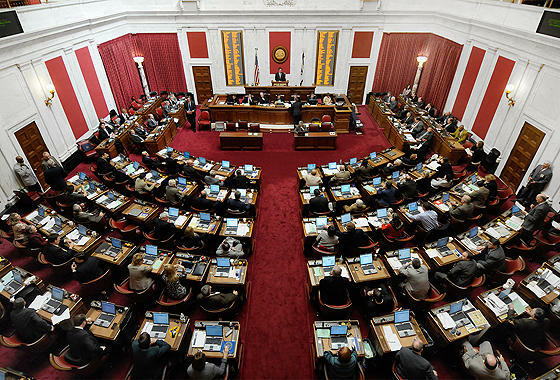 West Virginia's House has voted 85-14 to let employees bring loaded guns to their workplaces as long as they are locked in their cars. The bill, titled the "Business Liability Protection Act," now goes to the Senate.